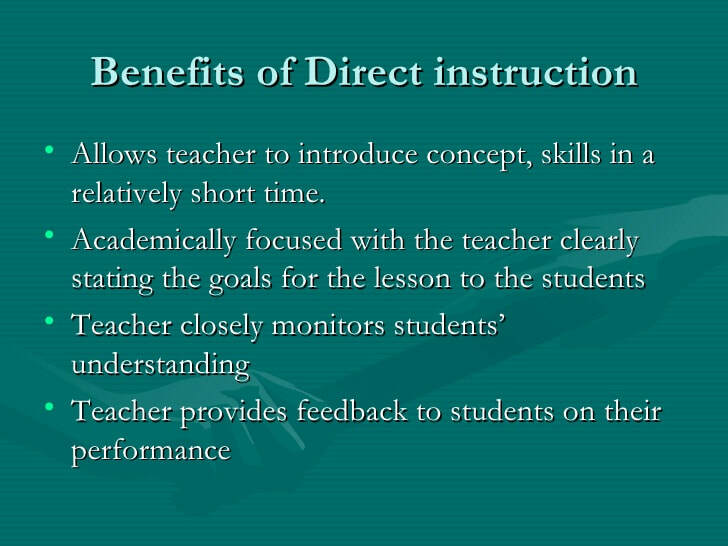 ​Direct Instruction (DI) is a model for teaching that emphasizes well-developed and carefully planned lessons designed around small learning increments and clearly defined and prescribed teaching tasks. 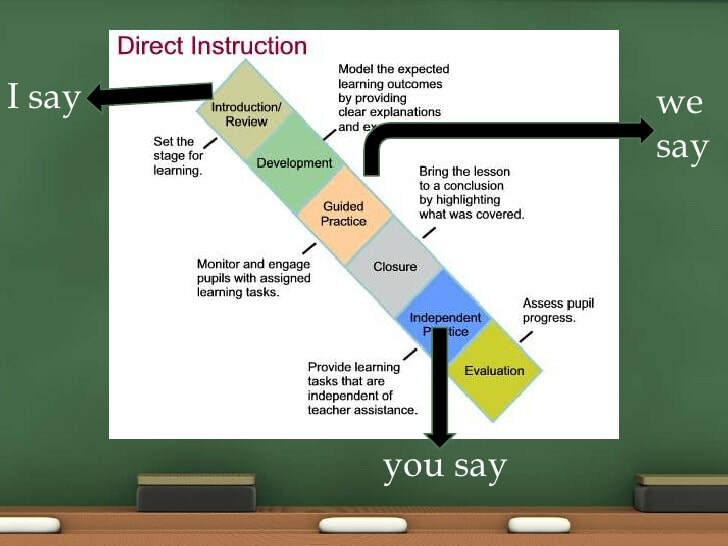 It is based on the theory that clear instruction eliminating misinterpretations can greatly improve and accelerate learning. ​Cooperation is working together to accomplish shared goals. Within cooperative situations, individuals seek outcomes that are beneficial to themselves and beneficial to all other group members. Cooperative learning is the instructional use of small groups so that students work together to maximize their own and each other’s learning. It may be contrasted with competitive (students work against each other to achieve an academic goal such as a grade of “A” that only one or a few students can attain) and individualistic (students work by themselves to accomplish learning goals unrelated to those of the other students) learning. In cooperative and individualistic learning, you evaluate student efforts on a criteria-referenced basis while in competitive learning you grade students on a norm-referenced basis. 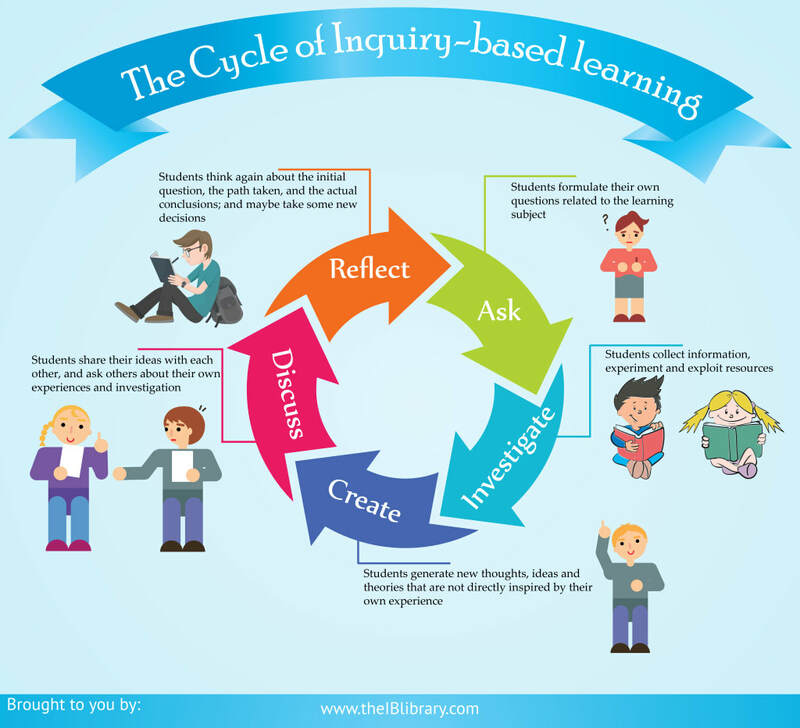 While there are limitations on when and where you may use competitive and individualistic learning appropriately, you may structure any learning task in any subject area with any curriculum cooperatively. ​Scaffolding vs. DifferentiationAs a general instructional strategy, scaffolding shares many similarities with differentiation, which refers to a wide variety of teaching techniques and lesson adaptations that educators use to instruct a diverse group of students, with diverse learning needs, in the same course, classroom, or learning environment. 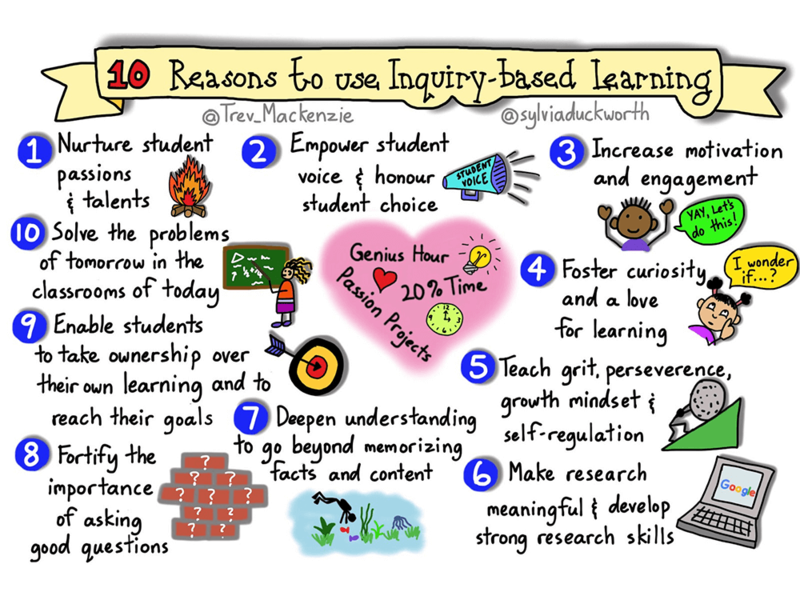 Because scaffolding and differentiation techniques are used to achieve similar instructional goals—i.e., moving student learning and understanding from where it is to where it needs to be—the two approaches may be blended together in some classrooms to the point of being indistinguishable. That said, the two approaches are distinct in several ways. When teachers scaffold instruction, they typically break up a learning experience, concept, or skill into discrete parts, and then give students the assistance they need to learn each part. For example, teachers may give students an excerpt of a longer text to read, engage them in a discussion of the excerpt to improve their understanding of its purpose, and teach them the vocabulary they need to comprehend the text before assigning them the full reading. Alternatively, when teachers differentiate instruction, they might give some students an entirely different reading (to better match their reading level and ability), give the entire class the option to choose from among several texts (so each student can pick the one that interests them most), or give the class several options for completing a related assignment (for example, the students might be allowed to write a traditional essay, draw an illustrated essay in comic-style form, create a slideshow “essay” with text and images, or deliver an oral presentation). Object, event or question used to engage students. Connections facilitated between what students know and can do. Objects and phenomena are explored. Hands-on activities, with guidance. Students explain their understanding of concepts and processes. New concepts and skills are introduced as conceptual clarity and cohesion are sought.